Indoor cycling is an ideal exercise choice that can meet most fitness goals. For the "cardio-crazed individual," indoor cycling can offer the opportunity to experience the extreme challenge of "taking it to the limit," reaching their highest workout goal. For the "exercise enthusiast," indoor cycling offers an additional cross-training group exercise class to keep them motivated and add variety to help maintain or improve fitness needs. For the "novice cyclist," indoor cycling will provide a complete cardio-respiratory workout without the complex choreography present in other group exercise classes. Lastly, indoor cycling will provide the "athlete cyclist" with the training venue that will enhance and help maintain performance during off-season periods. Physiologically, indoor cycling can strengthen the heart, improve cardio-respiratory endurance, lower blood pressure and increase the metabolism. Cycling is a cross-training variation exercise that can enhance fitness levels. Cycling is a non-weight bearing sport and is an excellent choice for cross-training, post-rehabilitation exercise and an alternative for overuse injuries. Participants can adjust their level of intensity and degree of resistance to match their goals and abilities. 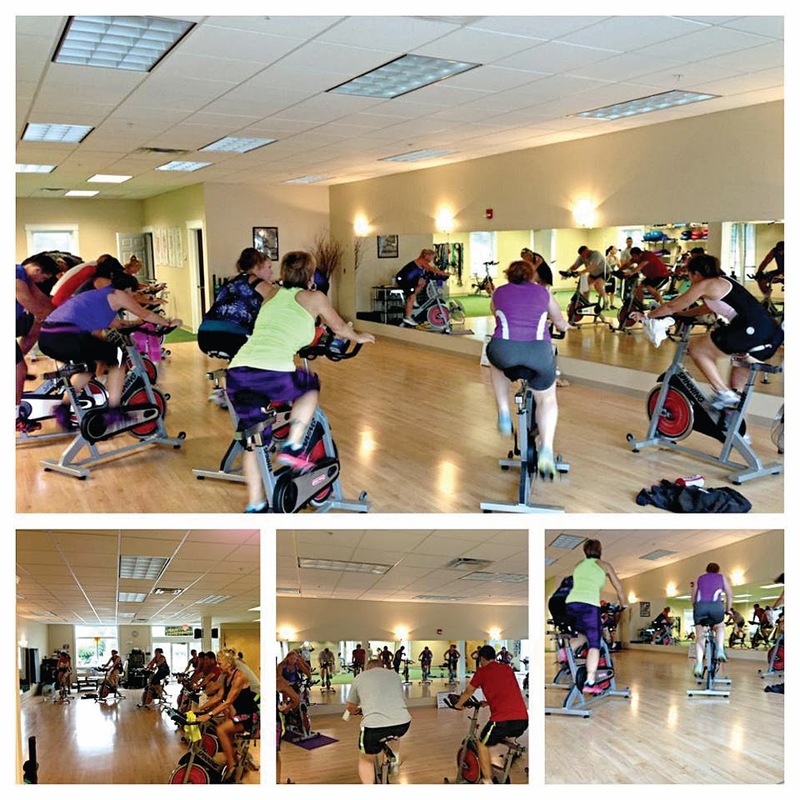 PNF’s indoor cycling classes offer a non-impact, highly effective way to build cardiovascular strength and endurance. Designed for all levels, these classes offer a challenging opportunity to get your heart pumping, burn serious calories and leave you with a feeling of accomplishment and perhaps a desire to be out on the road. PNF is the only spinning studio west of Westbrook offering over 15 bikes and multiple classes per week. Check out our group exercise schedule at www.pnfme.com or “LIKE” us on Facebook.